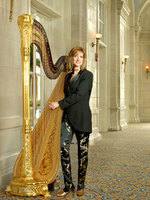 Ms. Sparks captures the beauty of the harp in this tribute to the great song writing of Johnny Mercer. Based on the Broadway show "Dream", Ms Sparks performs some great jazz standards from the 40's to the 60's accompanied by The Dream Machine Band. 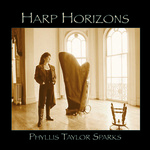 The musical pairing of Phyllis' lyrical harp and finely tuned band opens musical doors. The group has a flair for bringing out the passion of a beautiful torch song. "I always wanted to be in Ricky Ricardo's band on "I Love Lucy". He always used a harp in the orchestra, you know", Phyllis says. The CD closes with a beautiful solo harp rendition of Moon River. This is truly a one of a kind recording.